Skate/Blade to music and met new friends. Great for all ages. Games during session. 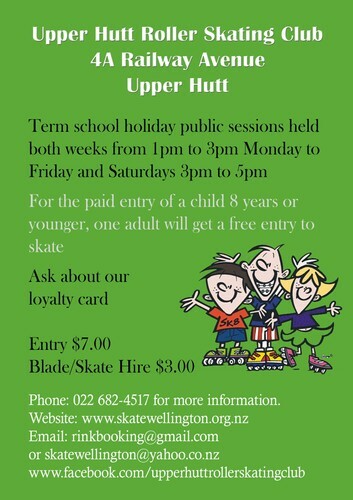 An adult will get free entry only if they wish to skate and have a paying child skating 8 years or younger. (Skate/Blade hire $3.00).